The Ubee DDW3611 wireless cable modem gateway delivers increased bandwidth up to 342Mbps downstream and 122Mbps upstream. With WPA/WPA2, WPS, and SPI firewall, this modem is ideal for residential, small businesses, and home office use. This model is an upgrade from the other DDW series, having 4 Gigabit Ethernet ports and a dual N router with external antennas. 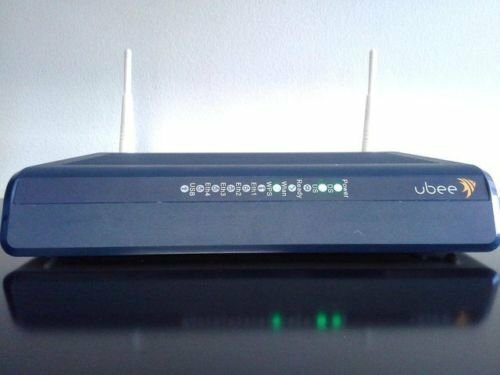 However, this model is not compatible with most cable service providers and tends to have poor Wi-Fi connectivity issues.